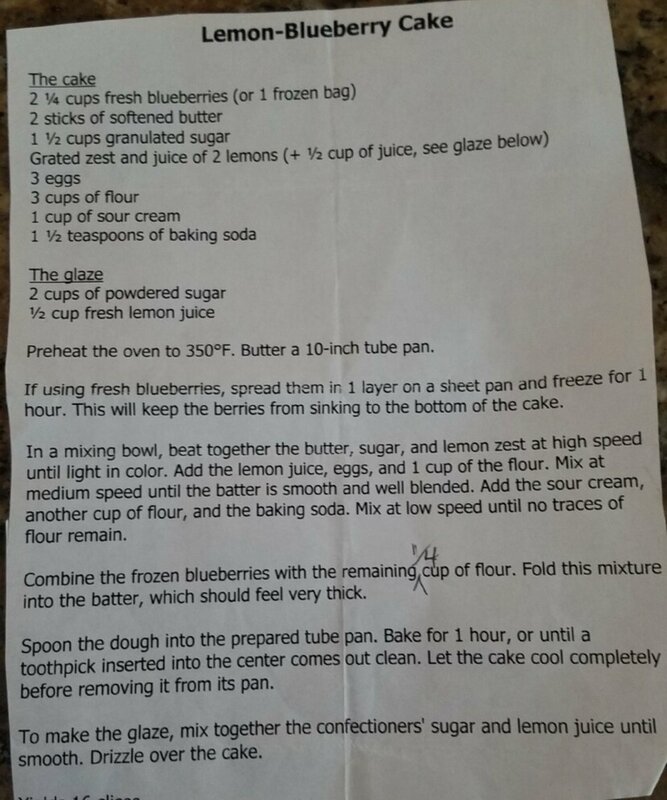 I have had this recipe for years but I cannot say where I ever got it, so I cannot include a link. Sorry! With having a bunch of lemons recently it was time to make this cake. It is dense but moist and truly delicious if you like blueberries and lemon.